The race for Michigan’s open seat in the 19th State House District is a virtual tie according to polling. 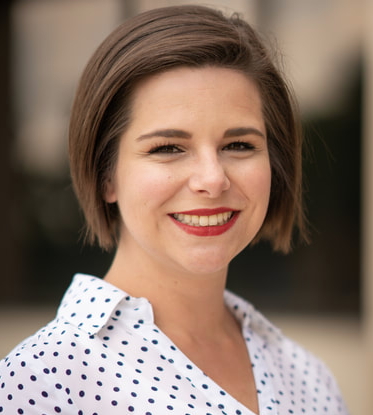 Democrats have a dynamite young woman running. Laurie Pohutsky is a microbiologist (you know I have a soft spot for scientists!) who has an impressive list of endorsements from progressive and labor organizations as well as notable community leaders. She supports a state-funded Medicare for All plan to make healthcare affordable for ALL of our citizens, has an enviable 7% rating from the NRA due to her stances on gun control, and supports a revision of our state’s civil rights act to cover the LGBTQ community. 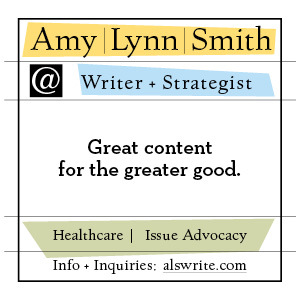 You can learn more about her at her terrific website LauriePohutskyForMichigan.com. 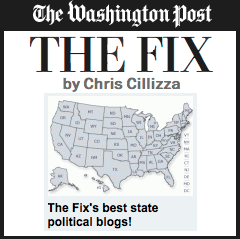 Her Republican opponent, Brian Meakin is… how do I put this…? Let’s just say he is a rank amateur. His website looks like his 12-year old grandkid put it together. His issue page is scant and says little of substance (it doesn’t even address healthcare, for example.) Meakin once told a crowd that job-killing automation is the result of — and I’m not kidding here — increases in the minimum wage. When asked about his opposition to Proposal 1 which would legalize recreational use of marijuana, Meakin said, “Marijuana is not an avenue for economic growth. Look at Colorado. It’s not been a success there.” The facts, of course, say otherwise. Colorado has taken in $839,689,434 in marijuana taxes, licenses, and fee revenue on over $5.5 BILLION in sales since they legalized it in 2014. It would be hard to find a fledgling industry that has been a bigger “avenue for economic growth” than that. 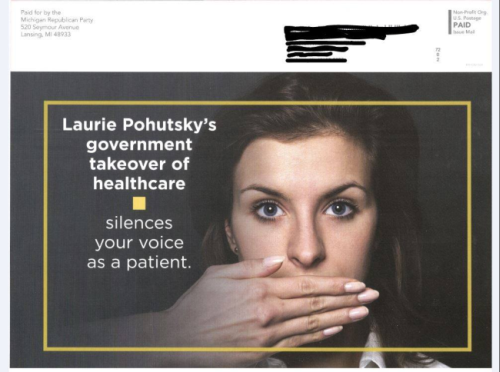 Faced with a candidate that seems to have no real message on things that people actually care about, the Michigan Republican Party has resorted to sending out a mailer and putting up a website (that basically just displays the mailer) telling voters Pohutsky wants to silence people when it comes to healthcare. According to them, she wants “a complete government takeover of healthcare”. The statement comes with a Very Serious™ footnote which says the claim is backed up by Pohutsky’s signature on an America’s Goals petition which means she pledges to support “Universal, affordable health coverage with a cap on out-of-pocket expenses.” Not exactly “a complete government takeover of healthcare” but when you’re faced with supporting such a weak candidate as Brian Meakin, where else do you have to go? At a time when the #MeToo movement is a thunderous voice in our political conversation, the very suggestion that a young millennial woman is silencing people by supporting affordable healthcare is particularly insulting and tone deaf. This is race is close and it we can flip it blue. 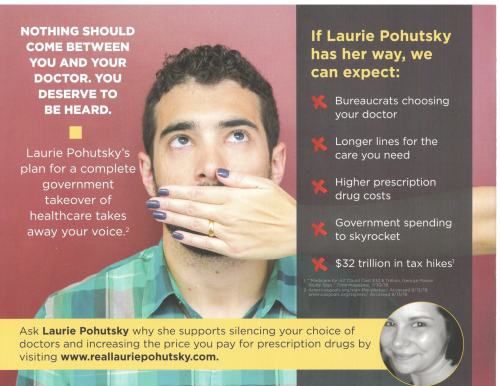 Consider helping out Laurie Pohutsky with a donation today. You can do that HERE.